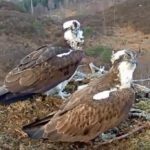 A Lochaber osprey chick has been nicknamed ‘Bolt’ after braving a lightning storm which fried the circuits of the nest camera on a neighbouring nest. 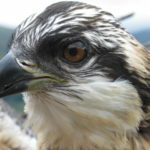 Woodland Trust Scotland operates the live camera feed from an osprey nest at Loch Arkaig near Fort William, with support from the People’s Postcode Lottery. The nest suffered double bad luck this year as a pine marten took all the eggs in May, then a technical fault cut the internet camera feed in June. Conservationists were cheered last week, however, when it emerged that another osprey pair nearby had successfully reared a chick. The feisty youngster, in a nest 2km from the camera tree, has just been ringed by a licensed expert. George Anderson, of Woodland Trust Scotland, told us: ‘Despite the loss of their eggs, our pair Louis and Aila were continuing to bond with each other and the nest so the online audience was still enjoying the show. ‘It was a great pity when the camera went dark in early June. We checked out every single possible fix on site but nothing worked, so we took the camera out of the tree and sent it away to be assessed. It turns out the problem is likely the result of a lightning strike. The camera’s technical problems have revealed a possible solution to the mystery of the earlier pine marten raid. The tree had been marten-proofed before the breeding season. The lower trunk of the pine tree had a slick coating to stop martens gaining any purchase, and low hanging branches were trimmed to stop the animals jumping on. However, when the tree was visited to investigate the camera fault, it emerged that some branches had partially broken off the tree and were dangling down to the ground. Mr Anderson added: ‘This seems more than likely the route the pine marten took. As we want to see chicks being reared on camera we’ll be looking to see what can be done to marten-proof the tree next year, but as this kind of egg theft is entirely natural, we don’t want to interfere too much. Local volunteer Liz Bracken has been keeping Louis and Aila’s worldwide fanbase up to date while the camera has been dark. She lives on the opposite side of the loch from the nest and can see it through a telescope. Her regular reports are enjoyed by osprey watchers as far away as Australia. The nest cam built up a large audience when it first ran last year, and Louis and Aila raised their first chick – Lachlan. Woodland Trust Scotland bought Loch Arkaig Pine Forest in partnership with local group Arkaig Community Forest. 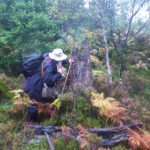 One of the most significant remnants of ancient Caledonian pine forest it is home to a wide range of amazing wildlife including ospreys, pine martens, sea eagles, wild boar, golden eagles, red deer, rare butterflies and red squirrels. 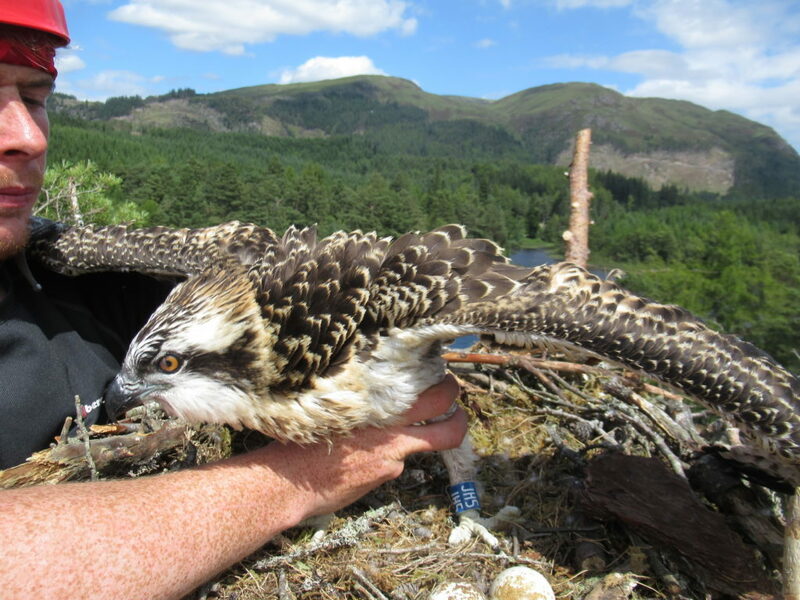 A Woodland Trust expert recently ringed young Bolt after scaling the tree to reach the nest at Loch Arkaig.